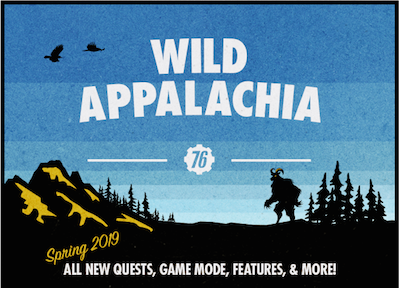 Fallout 76 launched on Nov. 14, 2018 on PS4, Windows PC, and Xbox One. It is not available on the Stream store, only on Bethesda’s launcher. The Fallout universe is primarily concerned with survival in an alternate reality after a devastating nuclear war. Players emerge from a “Vault” in underground West Virginia 25 years after a nuclear strike. The map, which is 4 times bigger than Fallout 4, makes this the largest Fallout game ever. Players can both pursue their individual goals as well as go through missions and side missions. Crafting (making weapons, armor, consumables, and other items) will play a major role. Players can opt in and out of player-versus-player (PvP) and player-versus-environment modes as they choose. A bounty system levies prices on the heads of players who behave aggressively. Being killed never results in progression loss for a character. Players killed in action can choose a respawn point and rejoin the game. There are four different nuclear missile sites on the map. Players can arm and launch a nuke, which requires all the missile keys for a site. Nuking a site creates rare and valuable resources at a location, as well as powerful monsters.